This week's #TacoTuesday recipe is bursting with the flavors of smoky chipotle peppers and sweet pineapple. Imagine "Hawaiian meets Mexican BBQ" and you'll understand why I'm excited about this one. It all came about rather organically as I honestly just set out to make a traditional shredded chicken taco and a straightforward slaw. But true to form, I changed gears at the last minute after opening the fridge and remembering I had tons of fresh pineapple leftover from Sunday's salsa. I'll walk you through the process, just keep in mind you really don't need any exact measurements here for the seasonings. I gave my best estimates but just go with the flow, taste your food as you go along and add more of what you like and less of what you don't. Learn to enjoy the process of cooking! 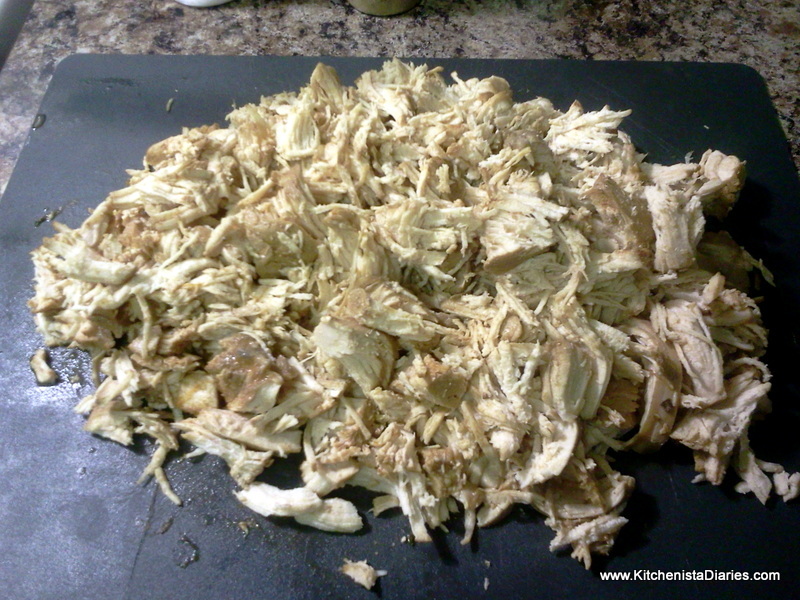 If you're cooking for just one or two people, I would suggest halving the recipe, or saving half of the shredded chicken (prior to saucing) for use in other dishes like soups, salads or sandwiches. My original intent was to slowly braise chicken for these tacos so I first started by making the liquid. Then I realized I thawed my boneless chicken breasts, which really don't need to be braised, so I just poached the chicken breasts in the same liquid. It all worked out. First, heat your pot to medium, add a little olive oil and cook the minced garlic and onions until the onions get soft. 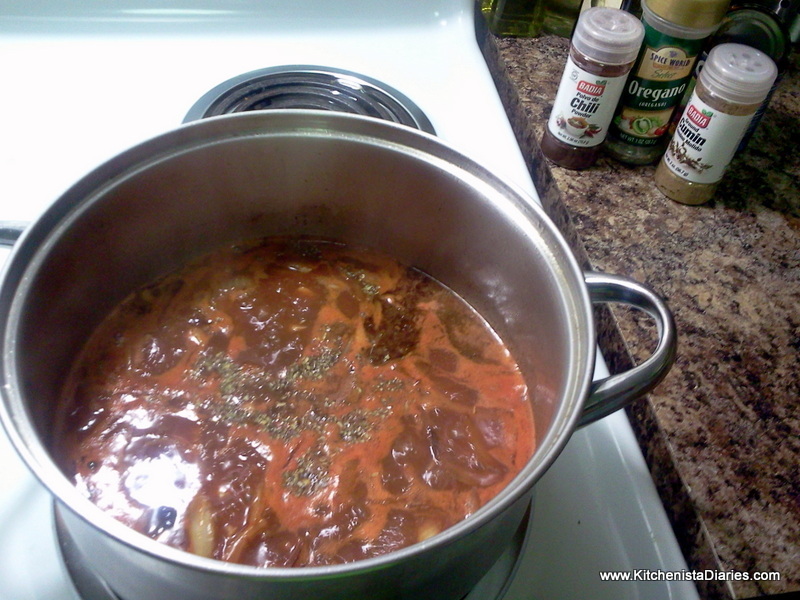 Season the sauce with plenty of oregano, chili powder, cumin, and the juice of a lime or two. Add the chipotle peppers and a little bit of the adobo sauce. These can be pretty spicy so use your judgment as to how many peppers you'll need. 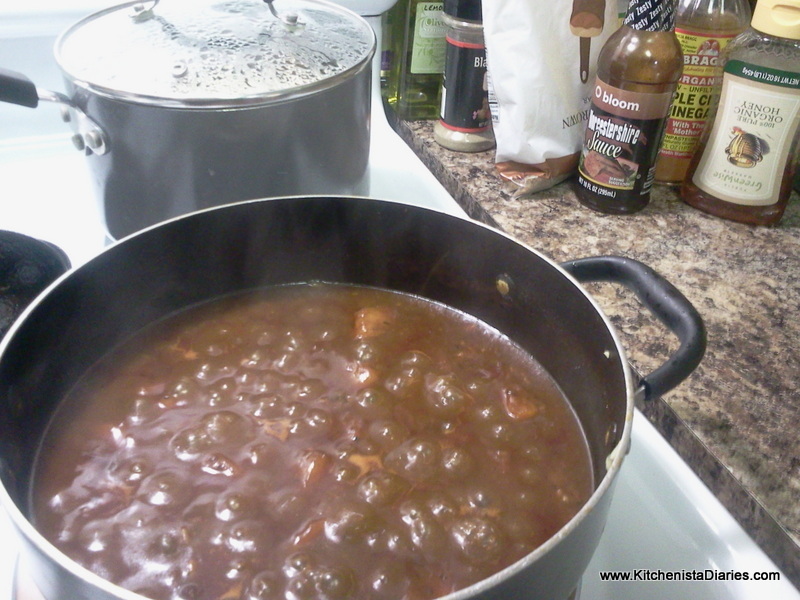 I've found that 2 or 3 is plenty to give flavor and spice to a large pot without being overwhelming. Add your chicken breasts. I cut mine in half, any smaller and they'll be more likely to dry out faster. The water should be hot, but not boiling. 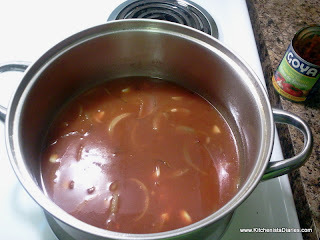 If the liquid does not cover the chicken add a little bit of water. 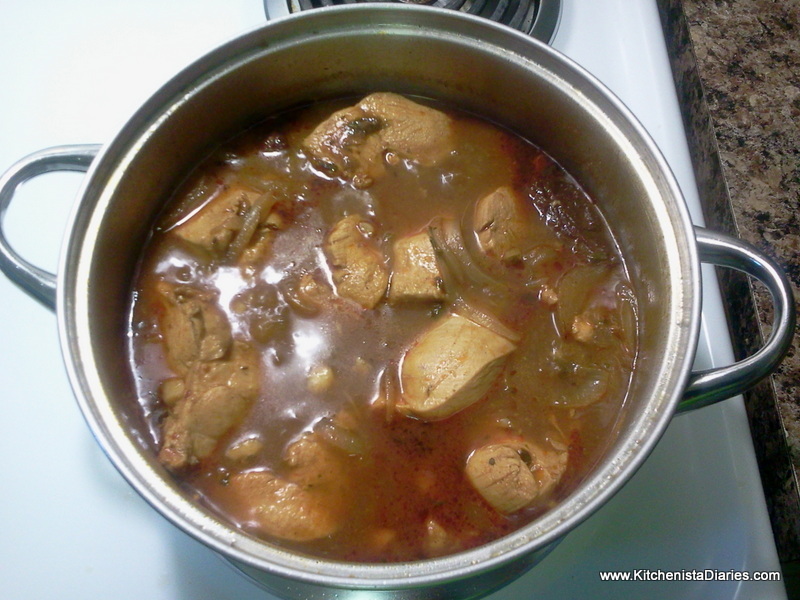 Cover and let the chicken breasts simmer in the hot liquid for about 15 - 20 minutes, until fully cooked. Remove the cooked chicken from the pot and allow to cool completely. Save the liquid used to cook the chicken. Use a fork to shred the chicken. This is where you could save half of the cooked shredded chicken if you only need a small portion for this dinner. 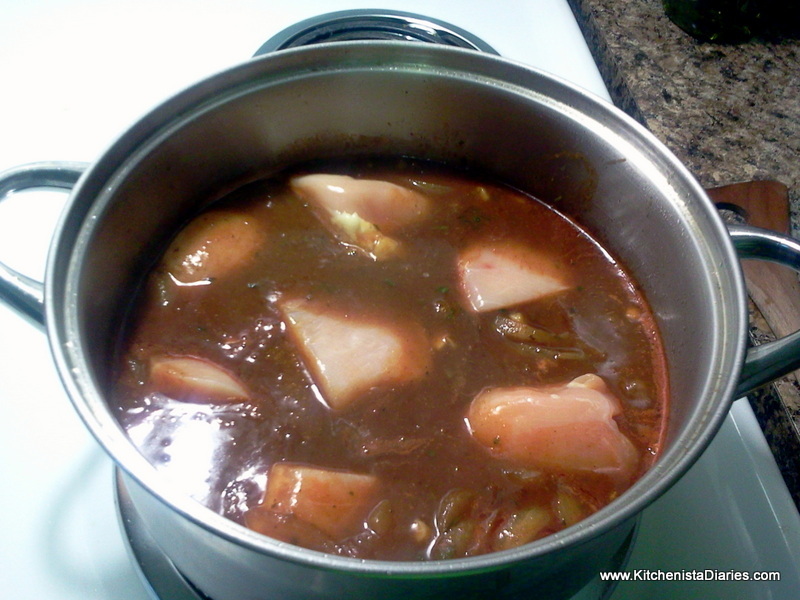 While the chicken cools, finish the sauce. 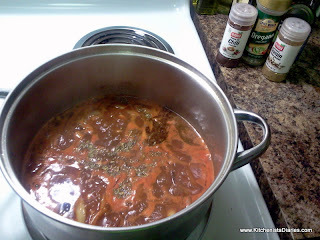 I switched pots here as I did my chicken in the morning and my sauce in the evening, but working from the same pot is fine too instead of a separate sauce pan. Warm the cooking liquid over medium high heat. 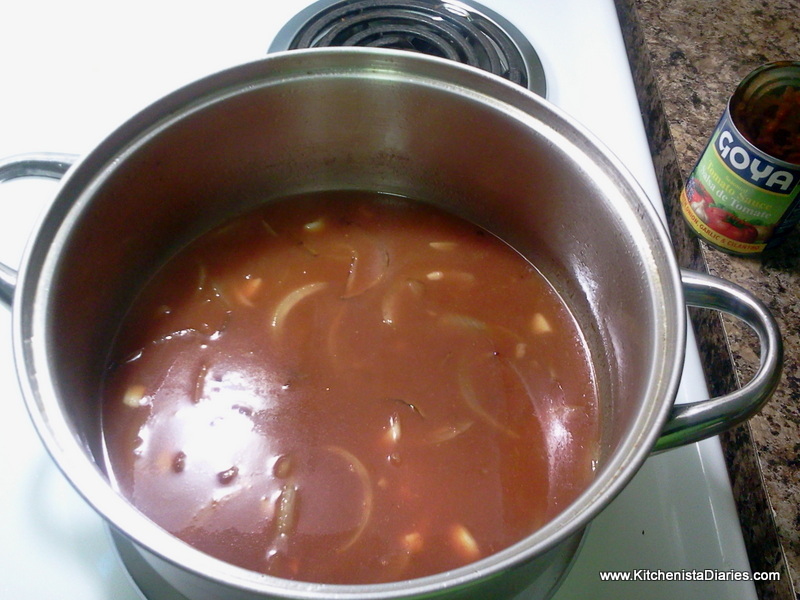 Bring to a low boil, then reduce heat to medium and allow it to cook until it reduces by about half. That should take about 10 minutes or so. I was going to stop at this point, but that's when I had a moment of inspiration and decided to kick this up. 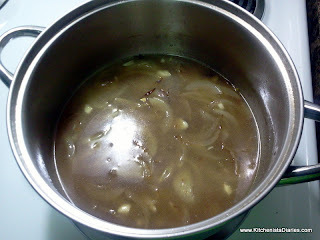 I added about a cup of fresh pineapple chunks, a few tablespoons of dark brown sugar, about 1/4 cup honey, a splash of Worcestershire sauce, a splash or two of apple cider vinegar, and the fresh ginger. 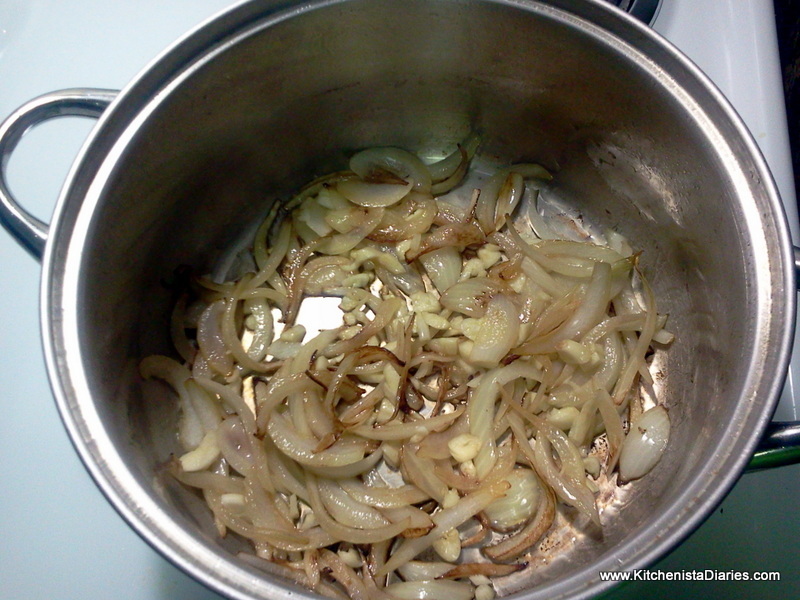 Taste and add a little salt and pepper if necessary. 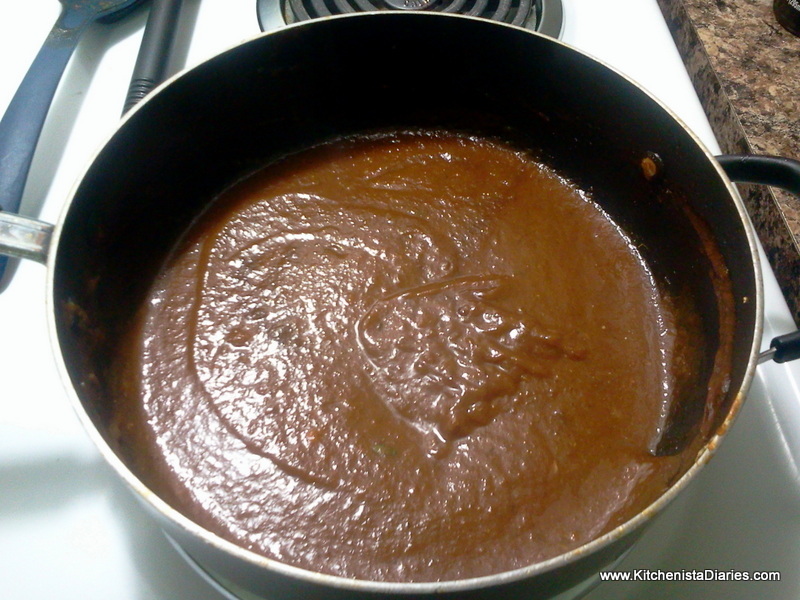 You'll end up with a very thick sauce similar to barbecue sauce. If you have an immersion blender, you can puree the sauce until smooth. Or just leave it chunky, up to you. I was only going to be preparing half of my shredded chicken, so I saved half of the sauce as well and will use that for something else. 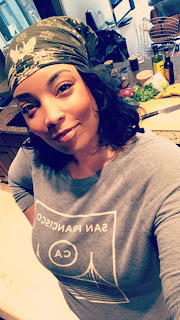 I think pineapple barbecued chicken is calling my name this week! 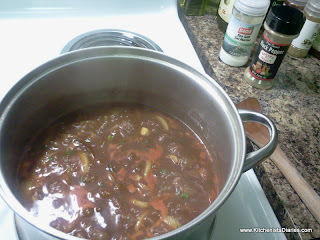 Add the shredded chicken back into the sauce and allow to simmer for a few minutes until ready to serve. Be careful not to dry out your chicken, keep it mind it was fully cooked already. 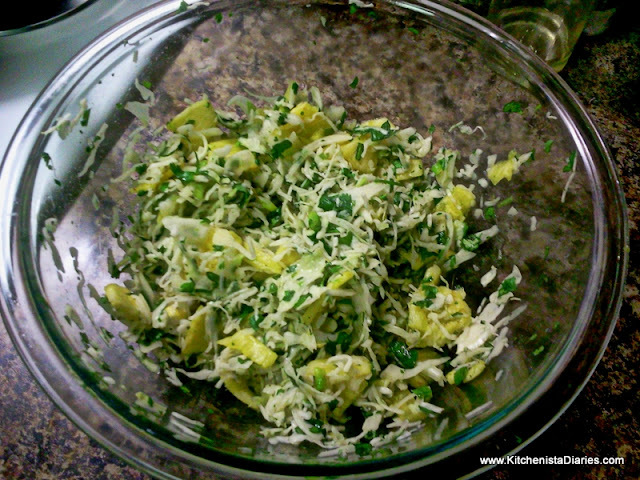 The slaw is made easy by using a bag of shredded cabbage. 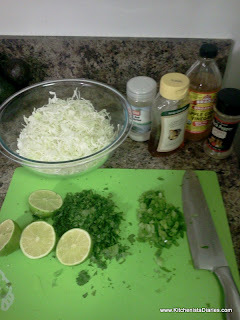 All I added was the juice of a couple limes, plenty of fresh cilantro (about 1/2 cup chopped), scallions, a splash of apple cider vinegar, and a pinch of salt and pepper. After tasting it, it wasn't quite sweet enough to offset my spicy chipotle sauce, so I drizzled some honey into the mix. Just a drizzle. Then I realized, why not just add pineapple to the slaw too? So that's what I did, and it was perfect. I cut my pineapple chunks super thin to match the texture of the cabbage. 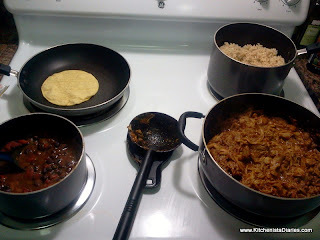 Warm your corn tortillas in an ungreased pan for 10-15 seconds per side. I doubled up on tortillas since the chicken is pretty saucy. 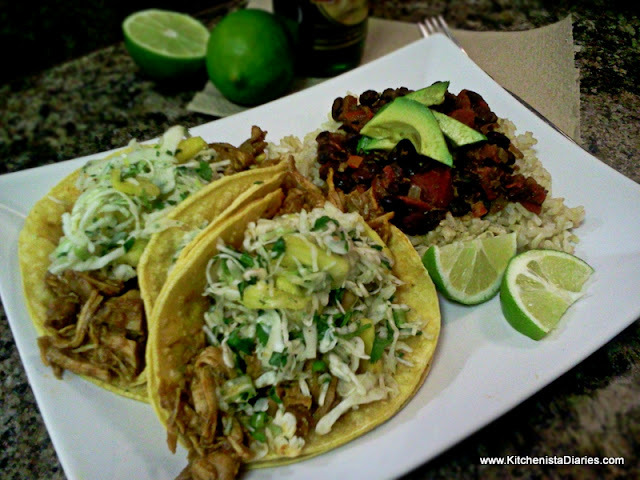 Spoon a good portion of chicken into a tortilla, top with fresh slaw and devour it! 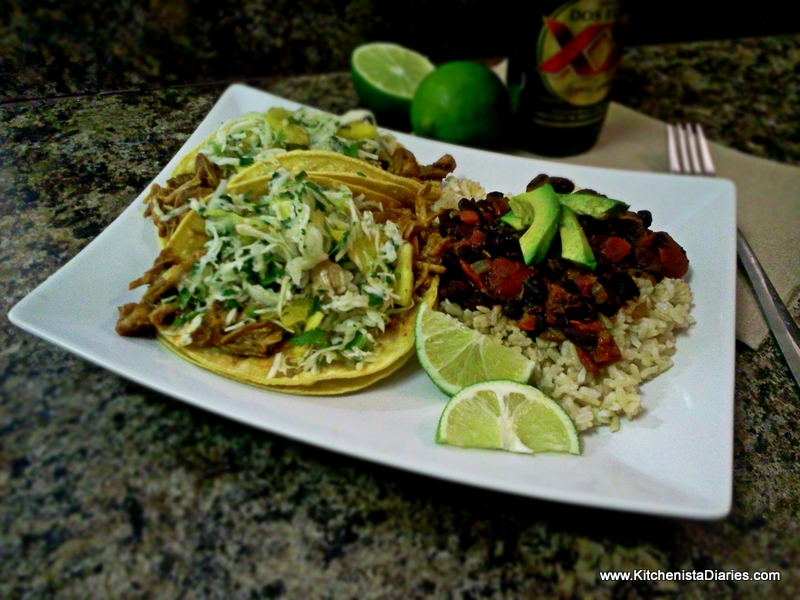 I suggest serving these with some rice and beans, and of course your favorite Mexican beer! 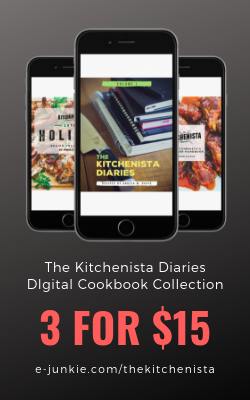 I haven't found a recipe that I like yet, too thick or bland...will try yours though. Also probably need to get an actual rolling pin and not use a wine bottle LOL. There's a couple really good homestyle brands I can get at the grocery store so I usually just buy a pack. My favorite is a corn/flour blend, best of both worlds. We made these last night with leftover turkey. I only added 2 cups of broth and then let it cook down, then added the turkey (shredded) at the end. They were so good! Thanks for the recipe!